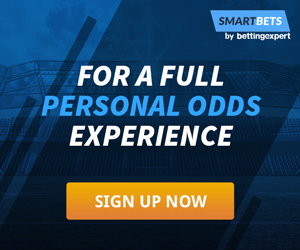 PL Fantasy League Competition - Win 1,000£ With SmartBets! The 2017/18 Premier League season is upon us and we want to see how smart you are. Enter the SmartBets league within the Fantasy Premier League game and you could win a £1,000 first prize. To enter your team, just click here, or use the code - 99636-383688. Once your team is entered, you will need to confirm your team ID and SmartBets username in this form. To find your unique FPL team ID, just go to your gameweek history (via https://fantasy.premierleague.com/a/team/my) and take the number from the URL, e.g. https://fantasy.premierleague.com/a/entry/99636/history. Do you have what it takes to secure the number 1 spot come May? Stay tuned to the SmartBets YouTube channel for updates throughout the season. Entrants must confirm their email and FPL team ID here. In the event of a tie, prize amounts will be split appropriately. Employees of smartbets are not eligible for any prize amounts. Full game rules are explained at http://fantasy.premierleague.com.